Janice Honeyman and K.O. visit the loft for today's Afternoon Express. Afternoon Express this Friday ends of the week with two incredibly talented individuals. We start things off with SAMA-winning K.O. who has recently returned from the UK to tour and meet with the industry's most influential British artists. Janice Honeyman has been involved in theatre and stage production for almost 50 years. Affectionately known as "Aunty J", she has written over 27 plays and is best known for the first kids television show in South Africa - Bangalory's Back - which has now been adapted into a stage show. 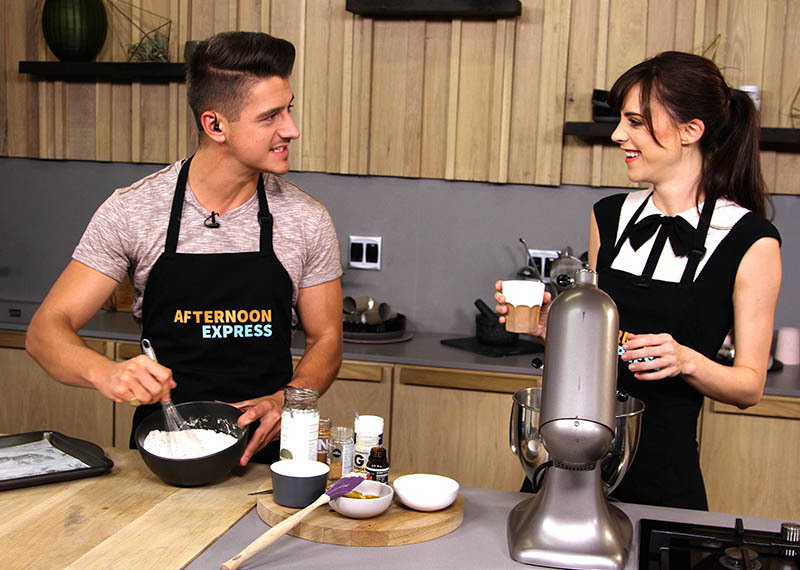 Also on the show, we create gingerbread latte whoopie pies and veterenarian Dr Melanie Scholtz gives us some awesome tips for travelling with our pets these holidays.